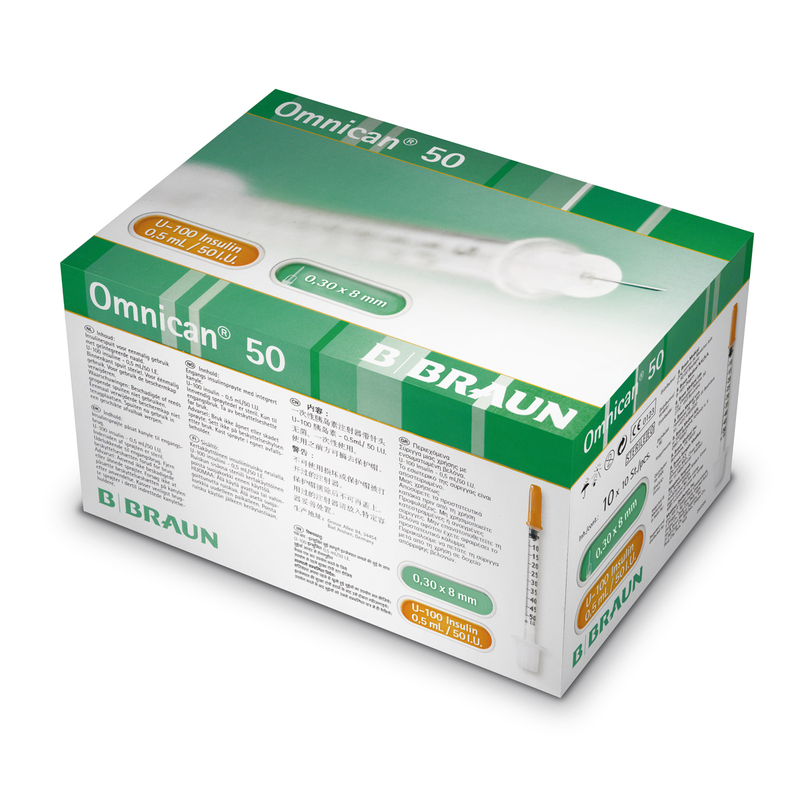 BBraun omnican 0.5ml insulin syringe with a 8mm fixed needle at great prices, from the UK's leading online syringe supply specialist. The Omnican® syringe is a high quality fixed needle 0.5ml insulin / botox syringe with a 30g needle, manufactured by B Braun. The 8mm needle is commonly used in clinics to administer Botox, because the injections are shallow, and anxiety and perception of pain can be reduced by the shorter needle. 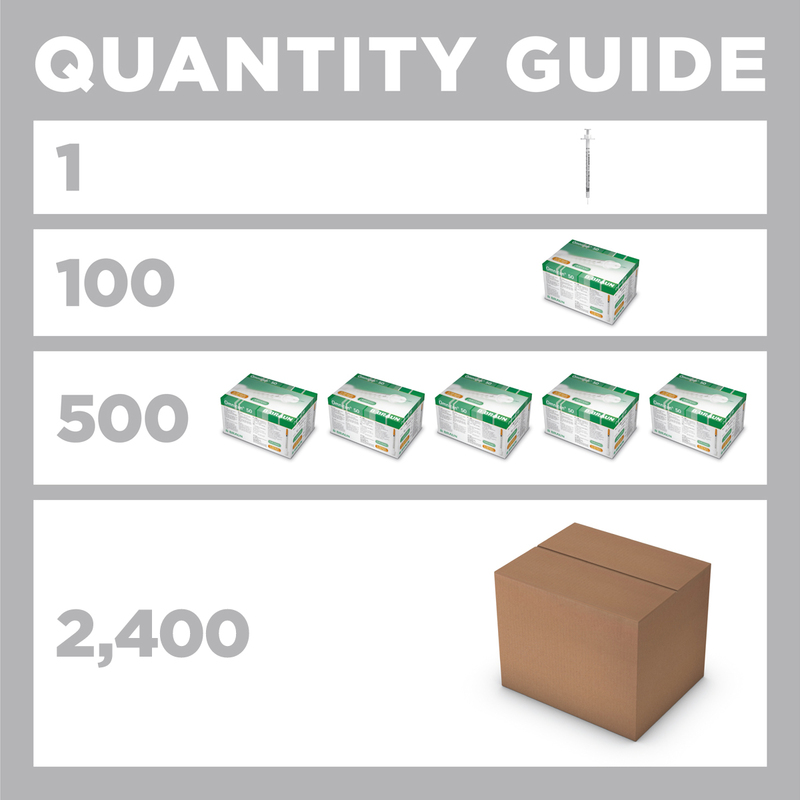 You can order any quantity, the Omnican syringes are supplied in strips of 5 syringes, and in boxes of 100. Order before 3pm Monday to Friday, and we dispatch the same day. The shorter 8mm needle was designed for diabetics with low body fat to give their injection in the usual way: insulin injections are usually done by injecting with the needle at a 90 degree angle, and the 12mm needle was too long for some people. We also sell this syringe to needle exchange schemes because some injectors of illicit drugs injecting into shallow, fine, veins find the control offered by the short needle enables them to inject with less damage.